MORE NEWS TO COME MARCH 31ST! Whoot! Looking forward to seeing this - and the return of the Big "A"! The last time they used "Soldiers of Love" at part of the title, a lot of people died....almost the entire crew. But then this is the series were the question was not "who will die" This was the series were the question became "who will live". 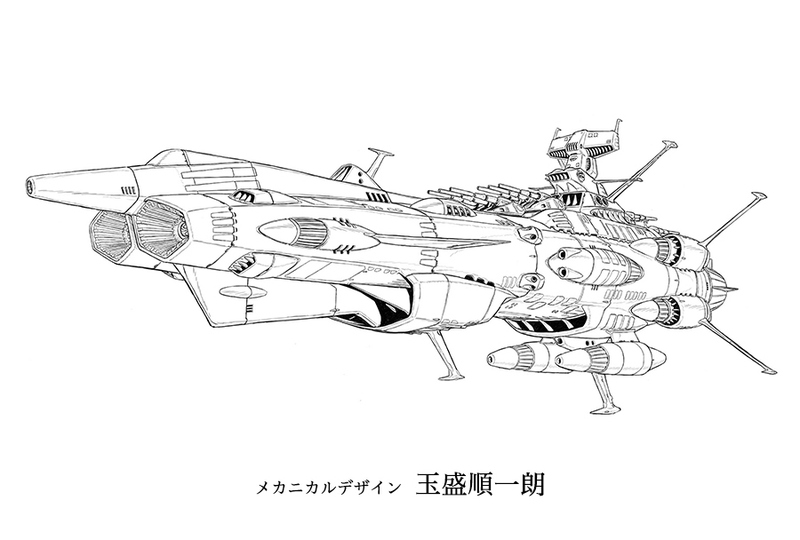 EDIT: Something I hadn't noticed until now...it says "Star Blazers" on the page with the title as well. Yep, their site has been an obsolete wasteland for a year and a half now. I don't hold out much hope that we'll ever see the American finish of 2199, Ark of Stars or 2202. Ditto...it's soooo well worth it though. Captain of the USS Averof and Galileo7 like this. I bought the BD as they came out as I wanted to see the episodes as soon as possible...and they had English subtitles. Boarding call for the hype train! WHERE THE ACTUAL LIVING HELL IS THE LINK GEAR ON THAT LOCOMOTIVE??? I was going for humor since it's from Galaxy Express 999, which was created by the same person as Space Battleship Yamato, Leiji Matsumoto. 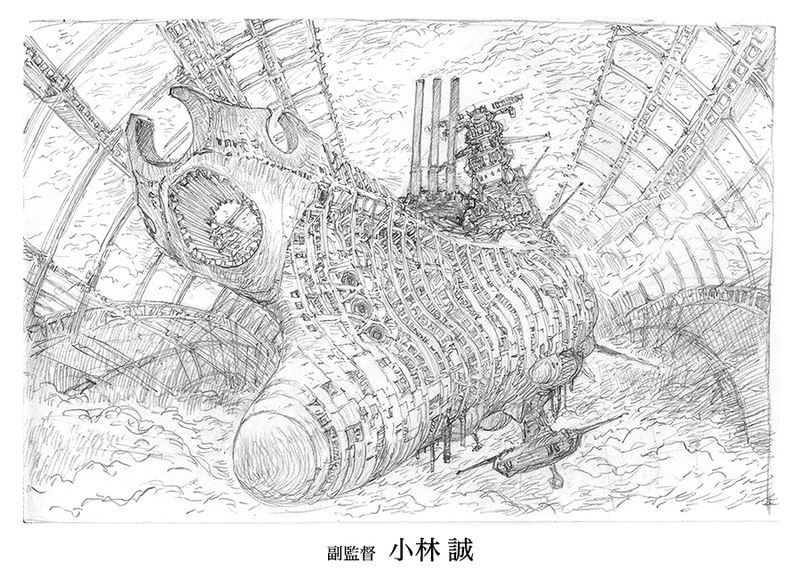 That dude loves his impractical space trains and all his stuff is the same universe refereed to as the "Leiji-verse", which also includes Captain Harlock. There are a lot of crossovers in his works too. The other part of the joke is the Hype Train meme. Series expected to come out early in 2017. • The series will run for 26 episodes. • Kodai feels alienated on the revived Earth, a sense of stagnation and despair. • The treaty between Okita and Starsha (over use of the Wave-Motion Gun) is casually dismissed and the world is caught up in a Wave-Motion Gun fever. 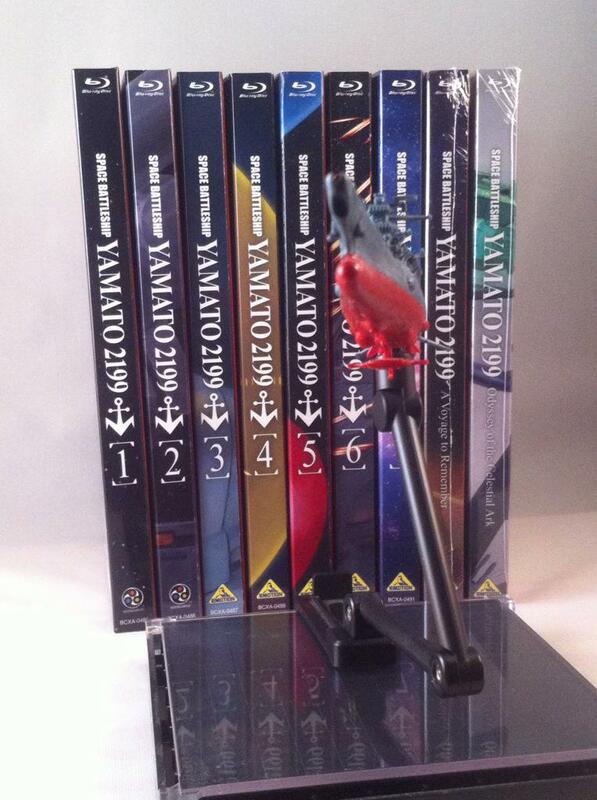 • With both Farewell and Yamato 2, the story took a while to get going, but 2202 will move quickly from the beginning. • There is no desire to dismiss any of 2199, but since the staff lineup has changed a few other changes should be expected. Like Gundam Unicorn (also written by Mr. Fukui), the direction will be to return to the feel of the original. The 2199 characters will not be completely changed, but the intervening years have been harsh, and their appearances will reflect this while remaining consistent. • Yamato’s original naniwa-bushi [ballad of obligation and compassion] will be maintained in 2202 along with a feeling of urgency and density. • As of February 25, the script was being written for Episode 10. The intention is to debut in early 2017. • When the interviewer asked Mr. Fukui about the sad parts of Farewell that make fans uneasy, his answer was that they are creating a story that nestles close to the heart of a present-day person. 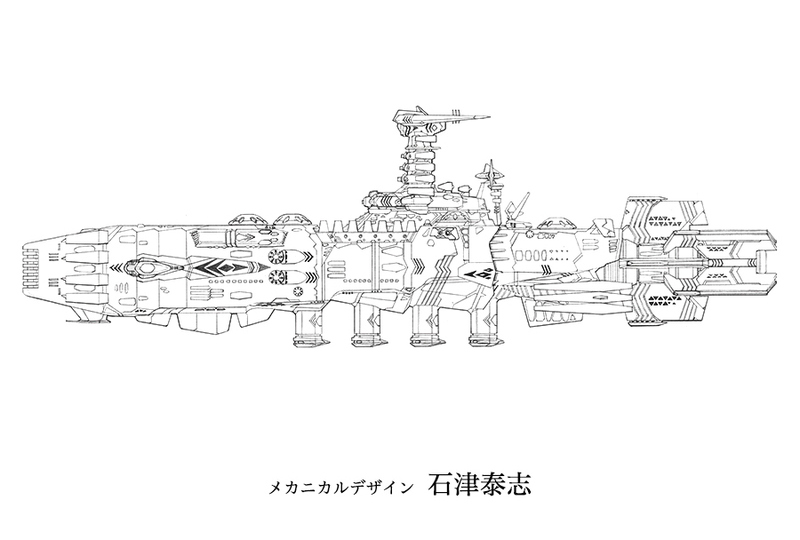 • Finally, it was mentioned by Makoto Kobayashi that the design of Andromeda is in the capable hands of Junichiro Tamamori (who designed all the UNCF ships from stem to stern, including Yamato). EVERYONE loves the Andromeda whether you admit it or not. 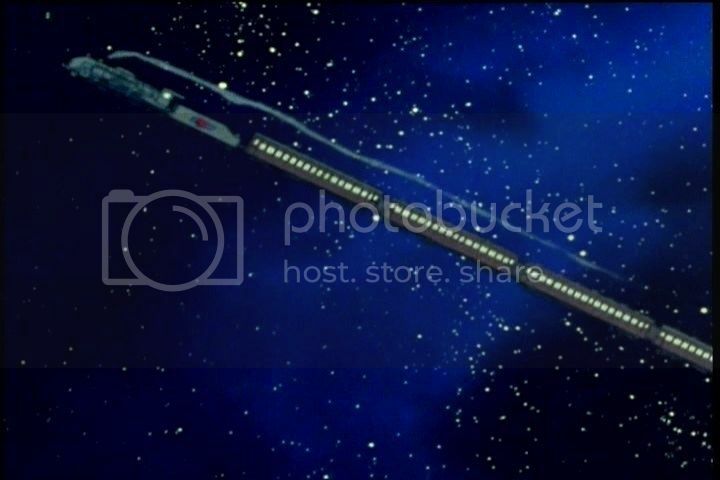 It's the Excelsior-class starship of the Yamatoverse. Galileo7 and 137th Gebirg like this. True, I like the 1701-Refit Constitution class and Excelsior/1701-B Excelsior class as I like the Yamato and Andromeda. New images from some of the artists involved. Ah, I didn't see the new thread. 2017 can't come soon enough. Newly built older style ships....as well as ship that don't just have Japanese names. So non-Far East Region warships, built in 2201 for the post-Gamilas War Earth fleet. I'd love to see the artist design some starfleet ships. Syd Mead designed a GUndam series once. I think it'd be gold for Hollywood to borrow one of Japan's better names in mechanical design in return someday. I enjoyed most of the original UC Gundam series (I liked a lot of "Gundam 0083: Stardust Memory" for example); but many of the later ones over the years where they add the mystical and 'god'-based Gundams - not so much. YMMV.